I Kickstarted the Pebble Smartwatch with Runkeeper support over a year ago and until recently giving up my Nike Fuelband (500 day streak), decided to finally give my Pebble Smartwatch in black a real try. Early on when I received it the app for iPhone and the watch apps were pretty lacking. Also the Runkeeper support was also missing. Last week I switched to the Pebble Smartwatch as my main watch and on Thursday was impressed with the setup and the iPhone app integration. 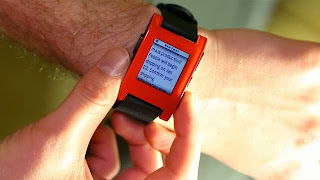 The Pebble Smartwatch will communicate over Bluetooth wirelessly to display text messages and other notifications and now even has email support. Setting it up and pairing with the iPhone was easy, and I was even able to try out using the email notifications. I shut email off within the hour I turned it on, but left the SMS messages and in the end that's the main feature I really enjoyed along with the Runkeeper support. On Thursday and Friday I didn't find the SMS message that helpful until I got a few in the car and also in meetings where I really don't want to be the guy grabbing his phone to read messages. Also on the Friday night Saturday at a BBQ, having the ability to view the message on my wrist was more discreet. Another thing I enjoyed during the weekend was being able to view messages sent to my phone when my phone was docked for playing music or just charging. I could walk around the house and see messages without running my phone. 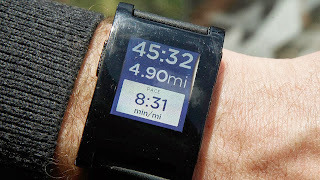 Okay - now onto using the Pebble Smartphone with Runkeeper support during a run. The Pebble Smartwatch once you start the run will pair via bluetooth to display total distance, elapsed time, and average mph for your run. You can also use the middle button to pause and resume your run. I thought this wouldn't be that useful but it was great. 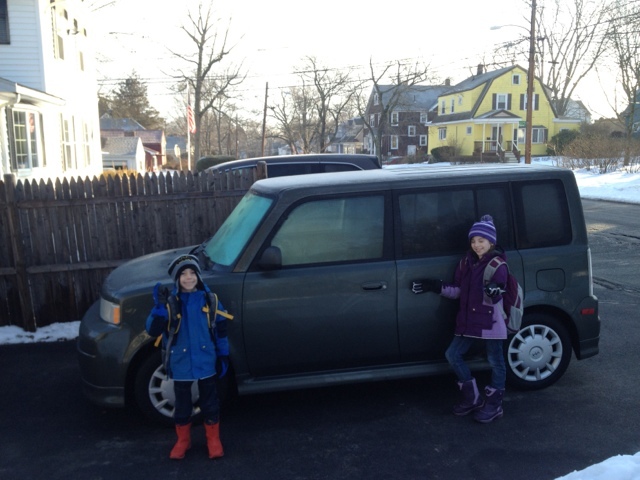 We kept a nice average pace and like a running watch I was able to keep the pace I wanted. I also like that I didn't have to then sync my run like I do with my Garmin Forerunner 10, and could at the end of the run just save it on my iPhone using Runkeeper and I was done. So in the end the two things that I really love have to be the display for running and then not being tethered to my phone while I'm at home or at work and my phone is at my desk or charging to see that I'm getting messages. It's disappointing there are not real apps (you can control music as well to start and stop via Bluetooth), but I'm the push notion of getting information is pretty killer. Oh and the watch? It works and displays the date and time - really all very solid. I'm a very happy Pebble Smartwatch customer, and it's nice to have a Smartwatch before they go mainstream. 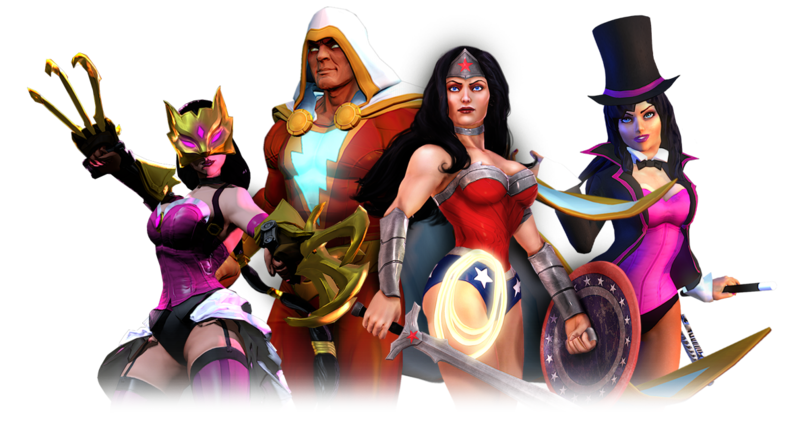 The game I've been working on - Infinite Crisis has been announced. Infinite Crisis is a new entrant into the wildly popular MOBA genre that delivers a heart-pounding competitive player vs. player battle experience set in the legendary DC Multiverse - a world in which familiar DC Comics characters have been re imagined in startling ways. Featuring a wide variety of DC Comics heroes and villains, Infinite Crisis puts players in control of twisted incarnations of their favorite characters throughout the Multiverse such as Nightmare Batman and Gaslight Catwoman, playing in league with well-known characters including Green Lantern and The Flash.